[ANN] [TRIONE] Trione Coin. Ulta-fast. Asic resistant. Bitcoin Forum > Alternate cryptocurrencies > Announcements (Altcoins) (Moderators: mprep, Welsh) > [ANN] [TRIONE] Trione Coin. Ulta-fast. Asic resistant. TRIONE is a fully decentralized cryptocurrency - Egalitarian Proof Of Work with Neoscrypt algorithm - based on open source Cryptonote technology using low & fix rate fees per transaction. Launched in May 2018 with a brand new ecosystem and exclusive set of mining tools. One of our mission is to build a more open, accessible, and fair financial future. Our technology is revolutionizing the financial services industry by empowering users across the globe to authenticate and transact immediately and without costly intermediaries using the blockchain technology. Translations: Reward for traslation is 10 TRIONE. Also we need DNS server and block explorer for 300 TRIONE. Today we are start presale. In total, 15 MN will be sold. The cost of one MN is 0.35 BTC. The funds received will be spent on listings (MNonline and Kukoin first). To buy a MN write me in discord private messages. Re: [ANN] [TRIONE] Trione Coin. Ulta-fast. Asic resistant. European Based, with stable connection and DDoS protection. - If you need separate workers to identify, you can add <,ID=YOURWORKER> to your password. - You can allow benchmarks to be allowed on pool by adding <,stats> to your password. Support and Updates: Join us on Discord! we are added TRIONE for mining! We now Payout every 1/4 hour! 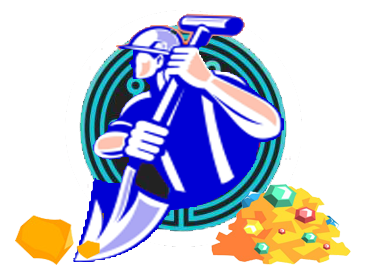 You now can mine TRIONE with german deutscherminingpool.de Pool. Wir zahlen jetzt automatisch jede viertel Stunde aus! Wir haben den TRIONE zum deutscherminingpool.de Pool hinzugefügt. Geringe Gebühren von 0,5 %. Automatische Auszahlung jede viertel Stunde. Graviex exchange listing in 48 hours. On which exchanges you will be listing? graviex. all another will be added after vote in discord.